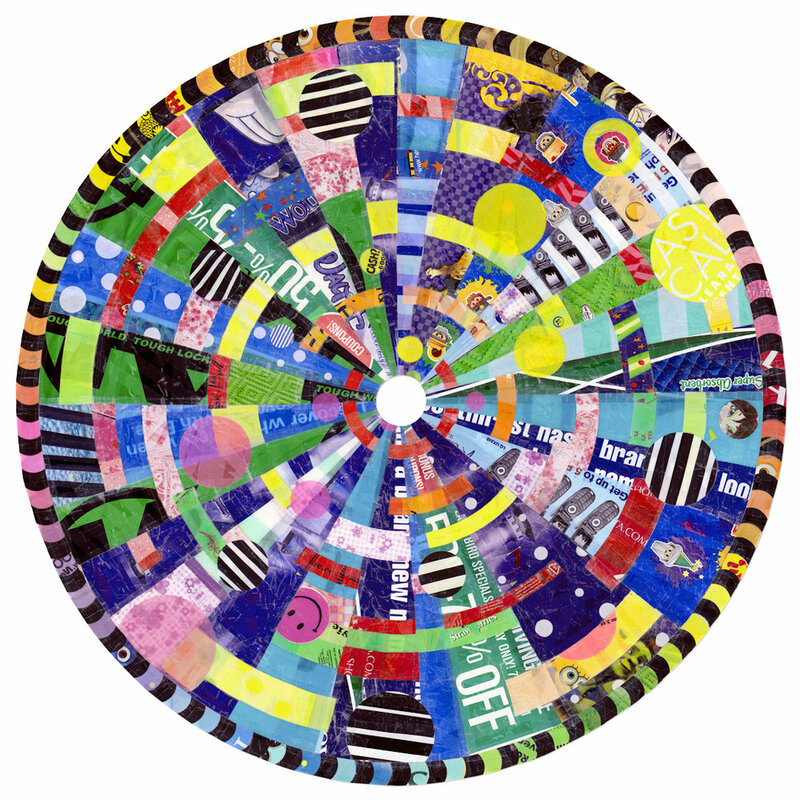 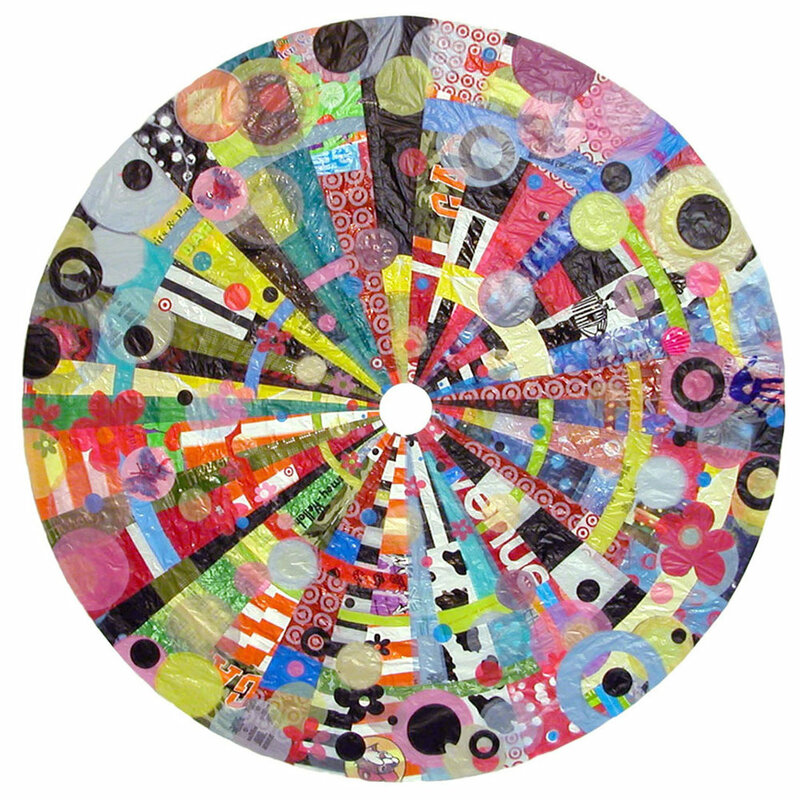 In 2002 I began collecting post-consumer plastic bags and wrappers for collage material. 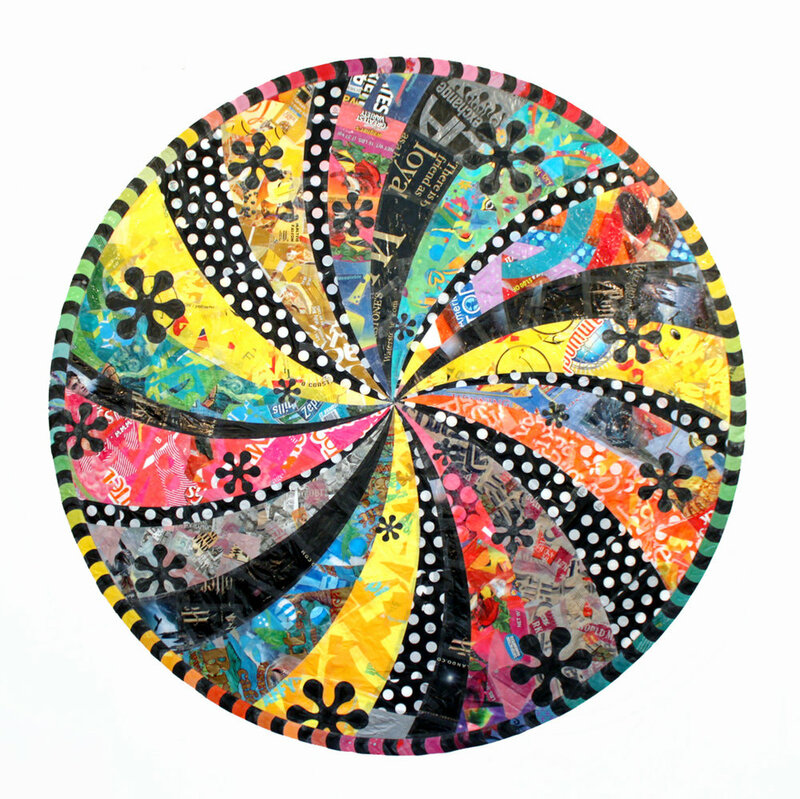 I use an exacto knife and the slow deliberate action of cutting, to extract, alter and subvert the advertising graphics, and with an inherently playful nature, I wrestle them through the sieve of formal beauty until they are no longer useful for marketing. 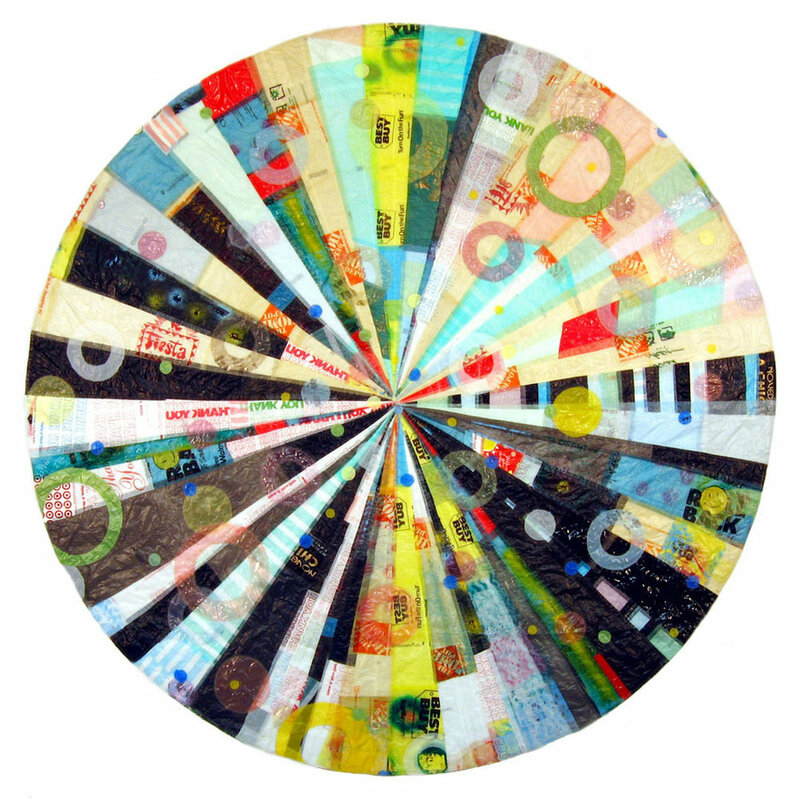 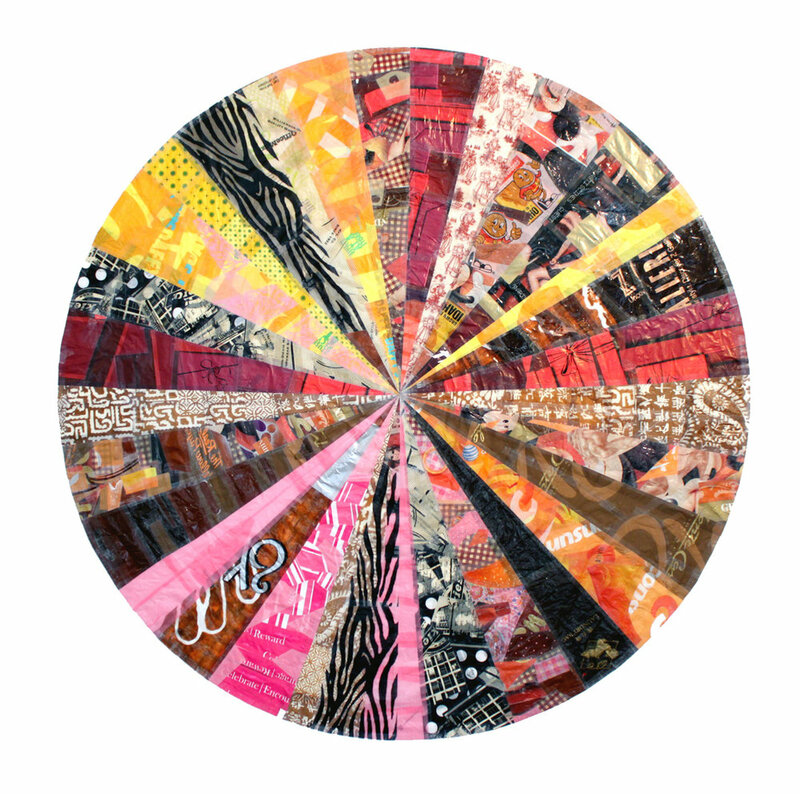 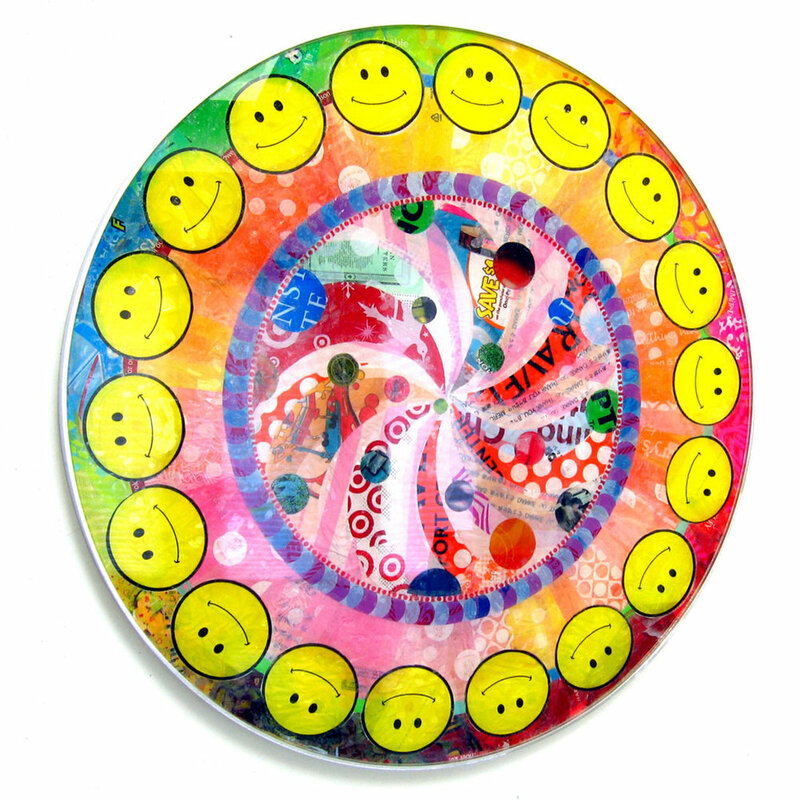 Ultimately, I use these altered advertising images to create ebullient artworks in a mandala format. 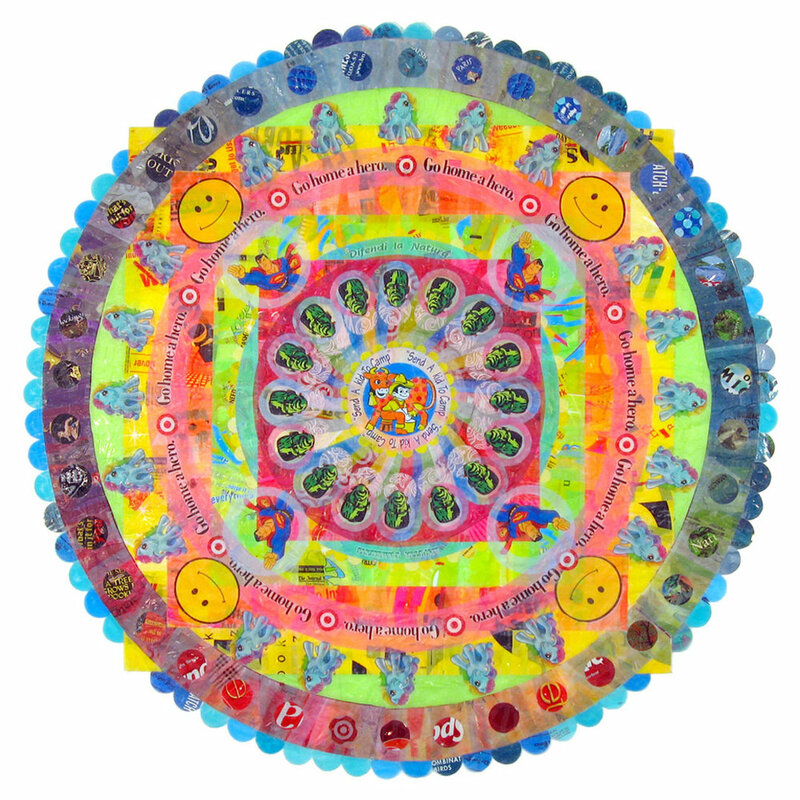 Mandalas, associated with wholeness and healing and are a non-religious, universal tool for meditation composed of highly decorative, symmetrical patterns. 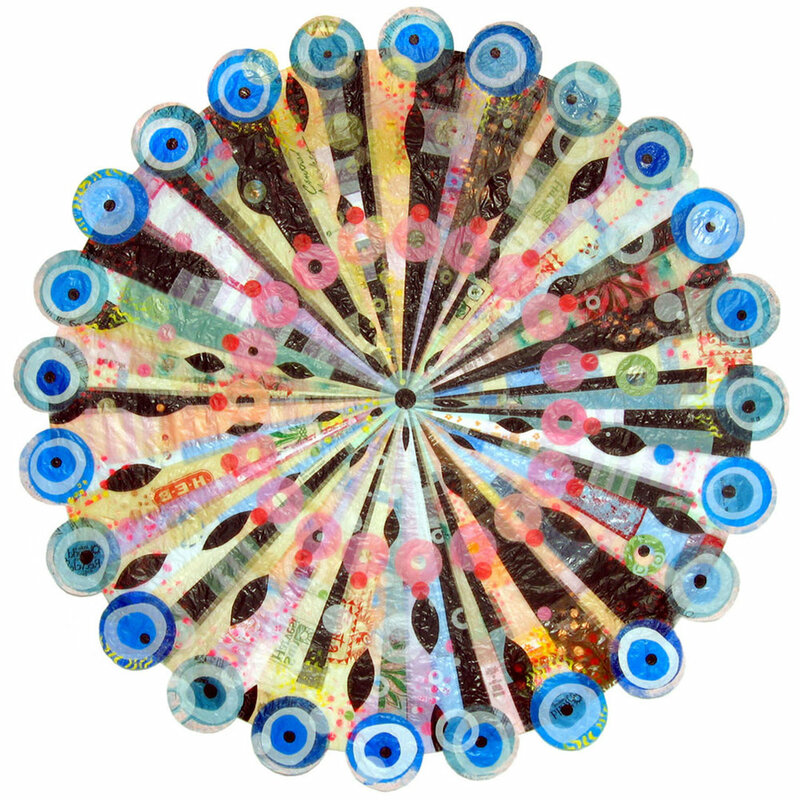 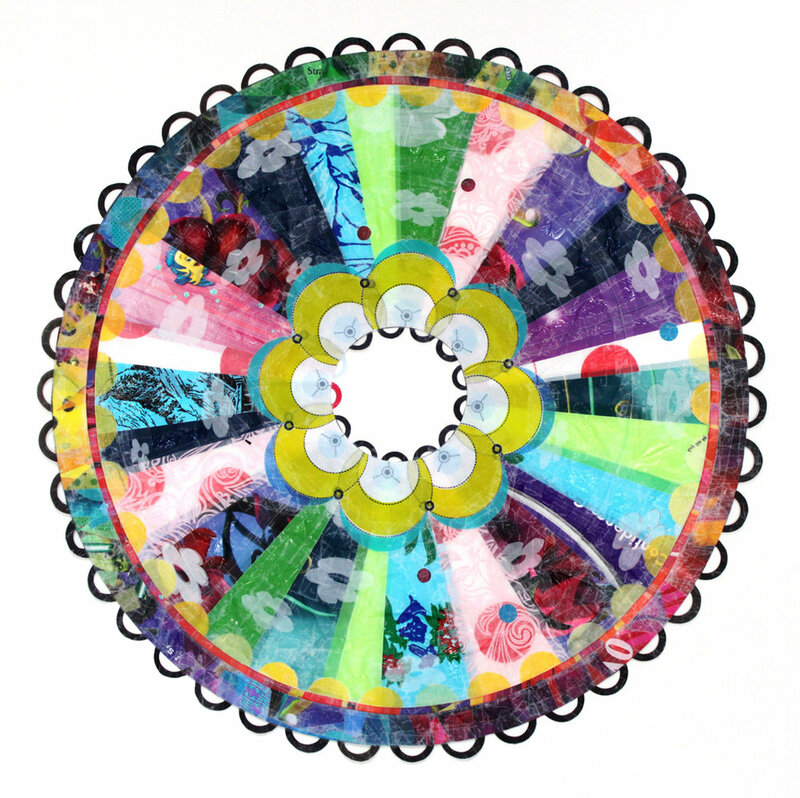 Making plastic bag mandalas is a joyful act of defiance, creates a commentary on ecological awareness and reveals the hidden beauty of disposable items that continually pass through our hands.